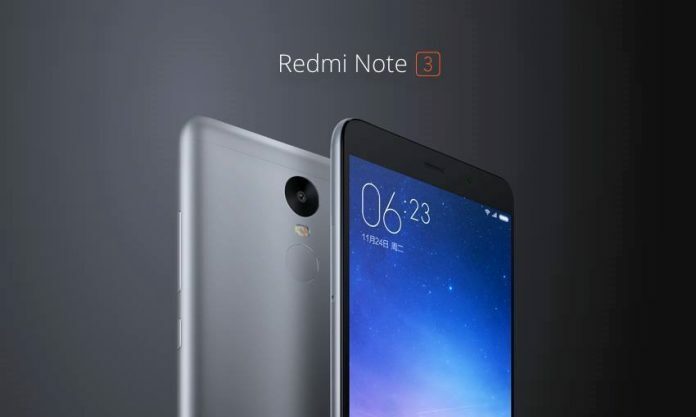 Today Xiaomi has announced Redmi Note 3 at their launch event in two variants. The first variant will have 2GB of RAM with 16GB internal storage while the other model will possess 3GB RAM along with 32GB of internal memory. The price of 2GB variant is set at 899 RMB while the other variant is priced at 1099 RMB. Redmi Note 3 seems to be a high-end device with a very competitive price tag. The phone has a complete metallic design with a fast fingerprint sensor that unlocks the phone in mere 0.3 seconds. If this seems to be low for you, then this device comes with 4000 mAh battery that will back up your device for two days with average usage. Note 3 features a 5.5-inch Full HD display with a resolution of 1920 x 1080 pixels along with Xiaomi Sunlight Display technology that will change the screen brightness according to the light availability. Redmi Note 3 is powered by MediaTek Helio X10 octa-core processor with 2GB/3GB RAM and 16GB/32GB internal storage. The phone will be available in three colours, i.e. gold, silver, or dark grey. The device has 4000 mAh battery that also supports quick charging and can charge 50% battery in just 1 hour. The primary camera is 13 MP with autofocus and two-tone flash, while the front camera is 5 MP. The phone will come with MIUI 7 out of the box that is based on Android OS. Redmi Note 3 is dual SIM phone with 3G and 4G support. To get more updates on Xiaomi launch event, stay tuned with us, there are more cool devices to come.